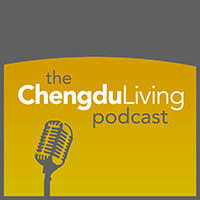 After a long hiatus, a new episode of the Chengdu Living podcast is finally available. Recorded just a week ago with Dan Engel and Eli Sweet in a Yulin apartment, this is a 55 minute podcast about pollution, life in China, and Uber being recently banned. You can also search for the podcast in your favorite podcasting app (mine is Overcast, which I highly recommend for iPhone users). If you have any comments or feedback on this podcast or on topics you’d like us to discuss in the future, leave a comment below. If you enjoy the podcast, please share it! We look forward to recording more of these and continuing to chronicle and share the story of life in Chengdu. Solid return to an old, oft mentioned format for diffusion of China and Chengdu related news. I like the Uber section, but I thought you could have been more incredulous that they are even here. How about a podcast on Green Chengdu, How Hi Tech Works in Chengdu, The Logistics Game, Women and Men, How much We Miss Sascha. Great addition to ChengduLiving. More podcasts will certainly be appreciated. 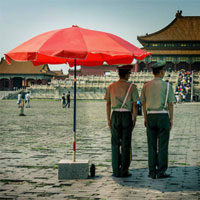 At Natooke Chengdu we get many inquiries from people just looking for guidance about living in China and Chengdu. Mostly about cycling, obviously, but also about things like dealing with pollution or other commonly encountered issues. Similar types of podcasts that share knowledge of how to understand, enjoy, or use some of the great things Chengdu has to offer, both new and old, will make Chengduliving an even better resource than it already is. A series on “how stuff works in China” would be interesting, focusing on differences in areas like business and commerce, general customs, Chinese law, traffic customs, etc. It would at least provide some clarity about potential sources of frustration for expats. Was digging the topics of discussion. I’d agree with Larry and say that the last subject in particular could be expanded on and there’d be a huge array of stories or discussions on it. The last time I went home was for a family reunion and found myself running all the members of my family through countless anecdotes about basic things I’d always taken for granted. After a bit I realized that what I had to talk about seemed so foreign that it was simply uninteresting. Few could relate in a substantial way. I had the feeling that although my life here felt very real and I wanted to share it, there was no common ground for even the people closest to me to feel confident in adding to my insights. I think it was in Peter Hessler’s “River Town” that he mentions a sort of schism that formed in his perception of the self: himself as Peter and himself as Chinese; accustomed to the culture and habits of a distinctly separate place and people. And this is the same sensation I was having. My family and friends were clueless to me being in any way “Chinese” just as much as the average person here can’t hardly fathom what I’m like as a person based on the assumption that as a foreigner I can’t in any way be Chinese. Sadly the latter weighs more heavily on me than the former. I’d like to think that attitudes here are shifting to better accept foreigners as understanding, sympathetic and respectful of Chinese cultural norms. However, I can’t help but notice that the interactions I have the enforce the fear that this will never be the case. In this situation it’s a choice between two worlds: One that I understand, but won’t understand me in a regard; and one that I work to understand but largely assumes I never could, can or will. Good stuff. re: “Is Life In China Real?” excellent point about the ease of slotting in to a comfortable (in terms of income) lifestyle here. I’m looking to return home with my Chinese gf, and I’m conscious of stressing to her not only the benefits (ie. clean air/ space/freedom) but also some of the downsides, the major one being that we will be living on a pretty tight budget. Actually having to interview for a job, rather than pretty much getting it upon turning up, will also take some getting used to!